hd00:18ISTANBUL - MARCH 16: Istanbul Container Harbour shot from the water side on March 16, 2011 in Istanbul, Turkey. 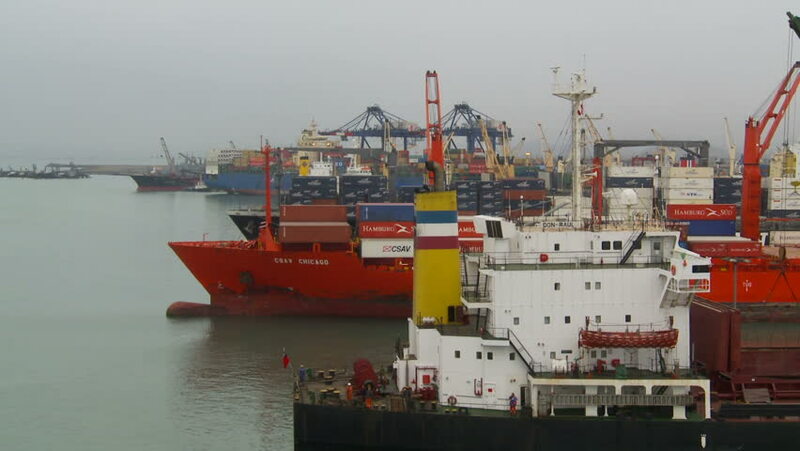 This particular terminal is main trading port in Turkey. hd00:18PORT, KOPER, SLOVENIA - 23 FEBRUARY 2016: Work at the port, a tugboat brings a cargo ship from the port, containers ship Maersk unload at the background. Full hd video footage.